The Port of London Authority (PLA) has unveiled its latest film at the perfect venue – Britain’s biggest jobs and careers event. 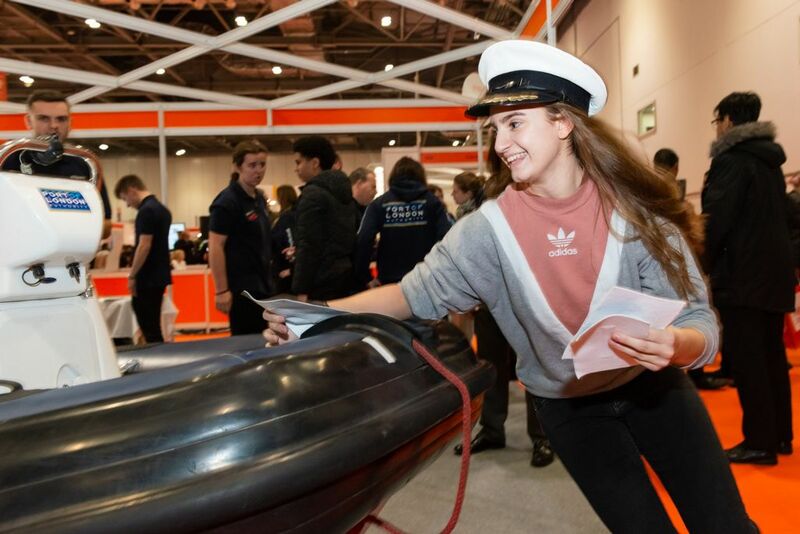 Careers at the PLA reveals how several of the authority’s staff launched careers in the marine industry and reveals the steps they took to do so. The PLA looks after safety of navigation and the marine environment, on 95 miles of the tidal Thames. Its new six-minute feature debuted at Skills London 2018 in Excel, London, yesterday. 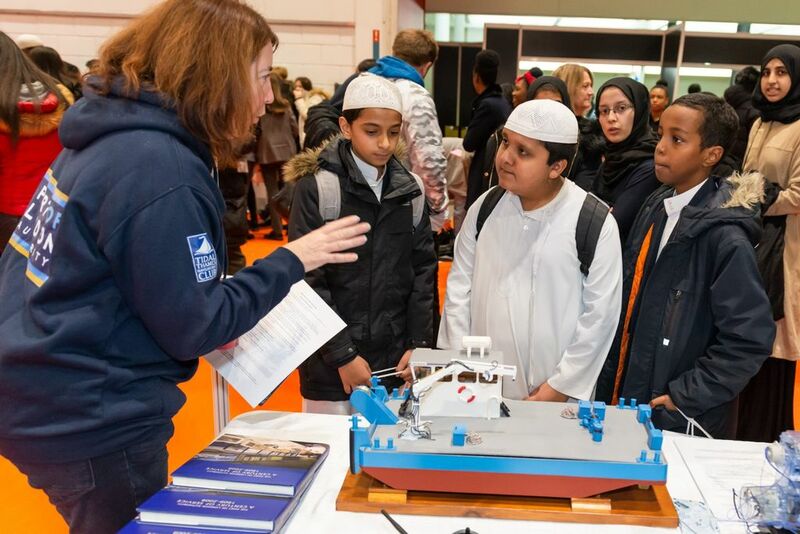 The annual event sees thousands of 15-24 year olds discover careers through interactive activities and demonstrations. Skills London helps young people bridge the gap between what they enjoy doing and what they could potentially do as a career. The film’s unveiling comes as the PLA welcomes three new apprentices to its ranks, reflecting its ongoing investment in the tidal Thames and its future workforce. It welcomes one new marine apprentice, one civil engineering and one finance apprentice. What’s more, in 2019, the PLA has pledged to add more apprentices to its growing number. All three will get a salary, professional qualifications and practical hands-on experience of working in one of the UK’s busiest ports. New marine recruit Scarlett Barnett-Smith, 18, from Gillingham, Kent, will have the chance to work on the different vessels that the PLA operates on the river and her training will last three years. In a break from the traditional annual intake of marine-based recruits, 18-year-old Melissa Hubbard, from Sittingbourne, Kent, has joined the PLA’s Finance team. She’ll spend four years with the team, getting to grips with accounting and budgetary systems, among other things. Melissa will also be doing a recognised Association of Chartered Certified Accountants qualification and gain practical knowledge by shadowing colleagues. Former sports coach Alfie Arrowsmith, 22, from Dartford, Kent, is the second Arrowsmith to embark on a PLA apprenticeship in as many years. His sister Rosie is a marine engineering apprentice who advised him to follow suit. Alfie has joined the PLA’s Engineering team, as a building tradesperson apprentice. The three joiners bring our total number of PLA apprentices to seven and more are planned in the new year. PLA Chief executive Robin Mortimer said: “Apprenticeships are a great route into work and the perfect way for young people to gain qualifications as they develop skills that’ll stay with them for the rest of their life. Our latest film shows just how satisfying working in the marine industry can be, it shows that a working life in the marine industry can be extremely varied and fascinating. We are very serious about investing in our future workforce and think apprenticeships are the perfect way to give young people a career. Watch our latest film about working at the PLA: https://www.youtube.com/watch?v=G4bu-e3R8-A&feature=youtu.be.